We consistently pursue improvements, such as saving energy and other resources, reusing, recycling and reducing all waste from corporate activities. Everyone realises the importance of lowering carbon emissions, recycling and significantly reducing waste. We all have a greater responsibility in helping to protect our planet. Businesses, in particular, are coming under increasing pressure from the government and consumer groups alike to implement and adhere to “green” practices. The printing industry faces many challenges in this regard. Screen Offset Printing has long been committed to minimising our environmental impact across a wide range of our operations; from our choice of printing press and printing products through to the day to day staff practices and production. For over 25 years, we have been providing premium printing, digital pre-press facilities and associated services to a vast portfolio of Australian and international clients. The big question was – how could we better adhere to the environmental concerns, yet not compromise on our printing quality and efficiency? 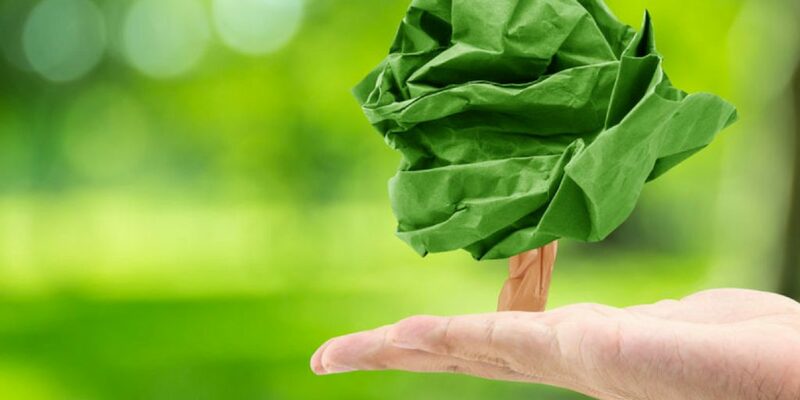 Screen Offset Printing’s basic environmental policies have been that; We consistently pursue improvements, such as saving energy and other resources, reusing, recycling and reducing all waste from corporate activities. Promote environmentally friendly printing presses and equipment and practice green purchasing. We are reducing emissions of hazardous chemical substances and striving to prevent pollution. We continuously reduce environmental loads. We are committed to communication with customers and related companies to aid environmental protection. Screen Offset Printing has achieved certification of its Environmental Management System (EMS) to Level 3. This certification system, ‘Sustainable Green Print’ (SGP), is industry specific and closely aligned to International Standard 14001 (ISO14001). This system has been devised by the printing industry’s representative body ‘Printing Industries Australia’ with financial support by the State Government, and is seen as a more relevant process of accreditation to the printing industry than the generic ISO14001. In achieving certification, Screen Offset Printing had to demonstrate a complex documented system of continual improvement and rigorous monitoring of the raw materials used in manufacture, a reduction of waste to landfill and the development of recycling streams to minimise the overall environmental footprint. In 2011 and 2012 Screen Offset Printing was awarded the Queensland Printing Industries Association Environmental Management Award. Screen Offset Printing’s press purchases have been made with the Environmental Management System in mind. These presses are energy efficient and able to accommodate alcohol free and vegetable oil based printing which adds credence to the overall methodology about ‘doing the right thing’ when it comes to the environment. Screen Offset Printing has implemented strategies to save on energy consumption and has installed water saving devices and fixtures throughout the plant. Screen Offset Printing’s goal is to continue to promote the use of environmentally accredited products and to strive to achieve more recycling streams to eventually result in the sending of no waste to landfill. Screen Offset Printing’s ‘EMS’ is a continual improvement system. It is externally audited every twelve months by an accredited contractor. Screen Offset Printing believes its customers and business partners want and deserve to deal with not only a supplier capable of producing a quality product, but with a business aware of its environmental responsibility to the wider community in its pursuit of business viability. Screen Offset Printing’s commitment to the environment is ongoing. Some of the systems put in place to date have already gone beyond Level 3. The SGP logo, with the relevant certification Level, will now appear on all Screen Offset Printing’s printed and electronic communication. Screen Offset Printing looks forward to working with you in its endeavour to be a ‘clean’ and ‘green’ supplier to you for all of your printing needs. Any enquiries or comments in this regard would be welcomed.